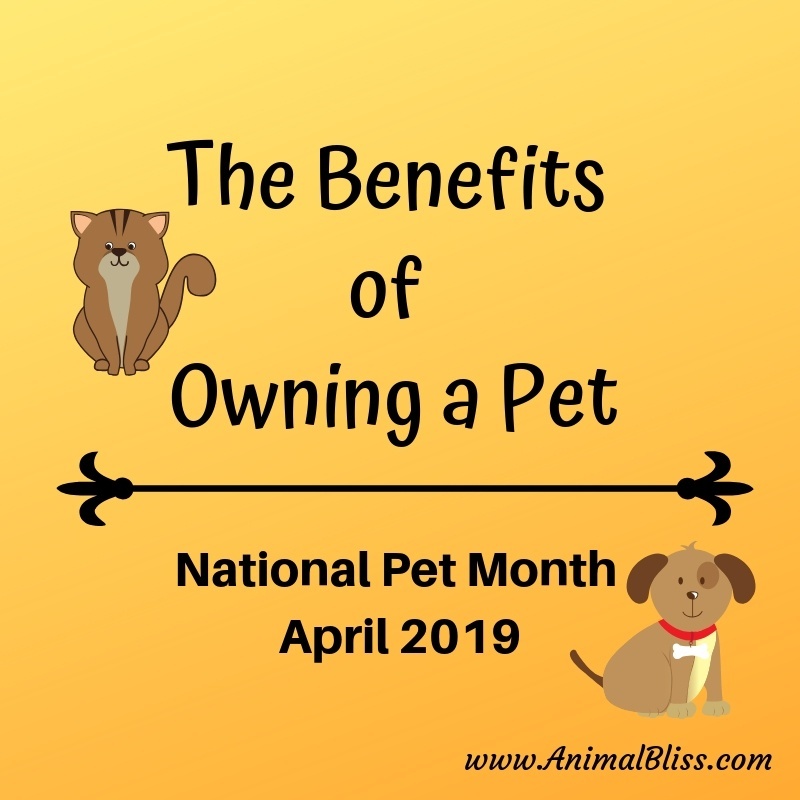 Benefits of Owning a Pet: April is National Pet Month! A survey by ExoticDirect on the benefits of owning a pet has revealed that happiness, love, and calmness are the three most popular emotions pet owners feel when stroking their pets. 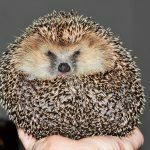 The survey run by ExoticDirect was aimed at understanding how exotic pet owners feel about their pets and included both single and multi-pet ownership. 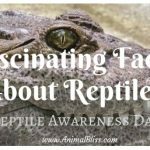 Over 50% of pet owners had a reptile; this included snakes, lizards, and tortoises. And birds were owned by over 51% of respondents. Rabbits were the most popular pets, followed by hamsters. 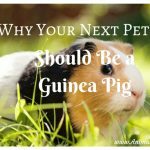 Guinea pigs were also popular, although more pet owners owned small birds. A more unusual pet was a hissing cockroach and a tarantula. With some pet owners also having fish, dogs or cats. You’ll probably agree that cuddling and stroking a pet makes you feel happier. The reason for this is that our brains release the feel-good hormones Oxytocin and Dopamine when we stroke our pets, and, according to an article by Beetz et al. 2012, published on Frontiers in Psychology, it’s not just us this happens to. Our pets feel it too. The same hormones are released even if we only make eye contact. With the release of oxytocin we also see a reduction in our stress and anxiety levels, and other benefits to our health. Birds, too, are thought to bring the same sorts of benefits – the same report published by Beetz et al. (2012), revealed that birds had been seen to reduce depression in elderly veterans, both as companion pets, or aviary birds. A better family relationship, feeling less lonely, and new friendships are all positive benefits of pet ownership according to survey respondents. “It has us as a family all taking care of it,” said one owner. However, not surprisingly, nearly a quarter have less money. A pet owner told us “more pets equals more costs, not just food and bedding but vets as well.” This fact doesn’t put the owners off though. The correlation between stronger relationships and pet ownership has been seen in further studies published in the article by Beetz et al. 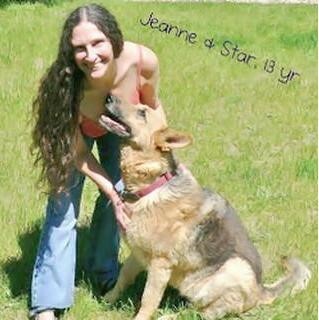 (2012), showing that people are more likely to build closer bonds with other people as a result of owning an animal. Studies also show that people are more likely to interact with someone if they see their pet as being friendly, thus helping to build friendships and is known as the social catalyst effect. On the whole, most pet owners in ExoticDirect’s survey emphasized just how good their pet makes them feel, helping them to feel less lonely, make new friends, and that it was a mutual family interest. Pets also help you to keep fit! The majority of owners said they’re more physically active because of their pet. This is interesting because most pet owners didn’t own cats or dogs! Rabbit owners, followed by hamsters, small birds, and guinea pig owners were the top 4 owners to see increased fitness. Perhaps it’s due to running around after the pet! Are pet owners more responsible? It seems pet ownership makes us more responsible, with 64% of owners saying this is the case since they’ve owned their pet. In contrast, just under one third said the opposite. Pet ownership for children is thought to teach responsibility and empathy as animal carers, and it seems the same can be said for us too! We turn to our pets more than our partner! Our survey revealed that 36% of owners turn to their pets when they’re unhappy, compared to 27% who turn to their partner! Pets are uncomplicated and unconditional, and just want our love, to be fed and watered. Whatever mood we’re in, they’ll still love and accept us. This can’t always be said for partners! “I think he likes being held, he falls asleep on my shoulder so he must feel safe with me” and “Here’s the lady that’s got my grub!!”. So why do people buy their pets? For snakes, ‘interesting’ and ‘cute’ were the two most popular responses given by owners, with ‘unique’ also a close contender. Lizards were purchased because they were interesting, cute or another family member wanted them. These received the majority of first place responses in the multiple choice survey. For our ‘shelled’ friend the tortoise, the same range of responses as lizards was given. Large birds such as African Grey’s were seen as cute, interesting and easy to care for; these were the three most popular first place choices for these owners. While for small furries such as rabbits, guinea pigs and hamsters, cute and another family member wanting them, were the most popular first place choices for purchasing these pets. Overall, the cost of setting up a pet doesn’t put owners off, with this receiving a low number of responses as the primary consideration when buying the pet. This is great news, as pets like snakes and lizards can be expensive to set up. 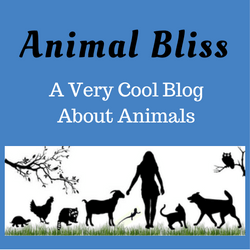 From lizards to rabbits, it seems that our pets bring us lots of happiness in many different ways. And even though we may have a little less money in our pocket as a result, the emotional benefits completely outweigh this. As long as you love them back, they’ll be a friend for the rest of their life. 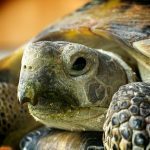 ExoticDirect offers pet insurance for large and small birds, lizards, tortoises, small and exotic mammals and birds of prey. You can get a quote here. Insurance coverage is only available in the UK. Beetz A, Uvnas-Moberg K, Julius H, and Kotrschal K, Frontiers in Psychology, “Psychosocial and psychophysiological effects of human-animal interactions: the possible role of oxytocin,” online, 2012. 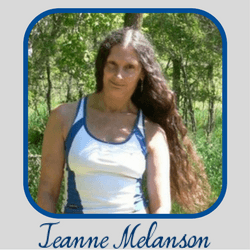 Guest Writer: Tamara Labelle, writing for ExoticDirect pet insurance. 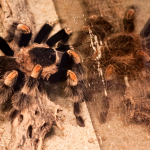 Tarantulas as Pets, What Makes the Tarantula a Great Pet? Nice post, however, I’d ad that pet means – responsibility. Please, consider seriously if you’re ready for the pet, don’t just buy one because your kid wants to. before their first birthday because they are not cared for properly. They do need proper enclosure (very BIG one), proper diet (no animal proteins at all), precise temperature range in the environment. 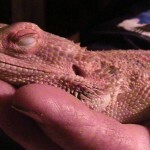 Most of new owners aren’t ready for that, but are attracted with low price of this reptile in pet stores. children, go for a bearded dragon instead. Thanks for your input, Vlad. I agree that a person needs to consider whether they’re ready for a pet or not. An iguana is not a good choice for beginners, for sure. A bearded dragon is a better choice, as you say. I still wouldn’t recommend it for most children. They do require certain things too. I’ve got one. Her name is Shirley and she’s 6 years old. She’s lots of fun.